REMEMBER that scene from the film, In Bruges, with Colin Farrell trying to subtly suggest to two extra-large American tourists why they should think again about climbing to the top of a high tower? Well, I did something similar once. I had just arrived back at the car park at the head of Glen Nevis just before sunset when this amply proportioned Canadian couple came over and asked me how far it was to the Falls of Steall. I happily admit that I exaggerated the time and effort needed to get there. They just didn’t look like they could make it, certainly in safety with darkness approaching. Luckily, they decided to heed my words, and I didn’t have to then resort to less subtle terms like Colin Farrell‘s character. I like to think it was the right thing to do. Too often we see hopelessly ill-equipped walkers heading for the honeypot hill tops. 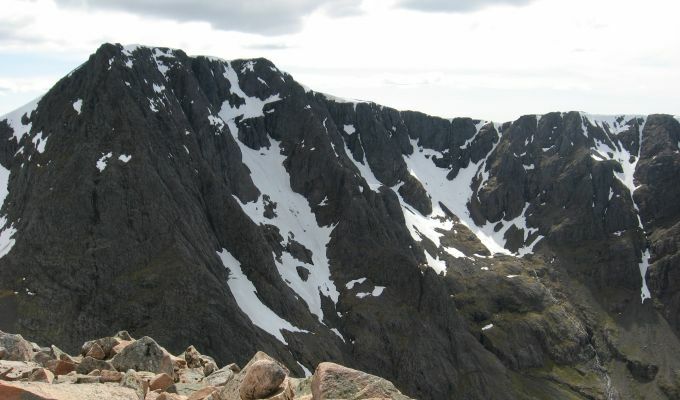 Maybe we should all be more inclined to speak up when we come across someone in flip-flops and a pair of Bermuda shorts heading up Ben Nevis. I once saw a German couple walking up Schiehallion with a toddler in tow. The weather had closed in and it was wet and cold. Then I noticed that the man had a baby of around eight weeks old strapped to his front under his poncho (it wasn’t even a proper rain jacket), but they weren’t even contemplating turning back. I held my tongue then but I always felt I should have said something. 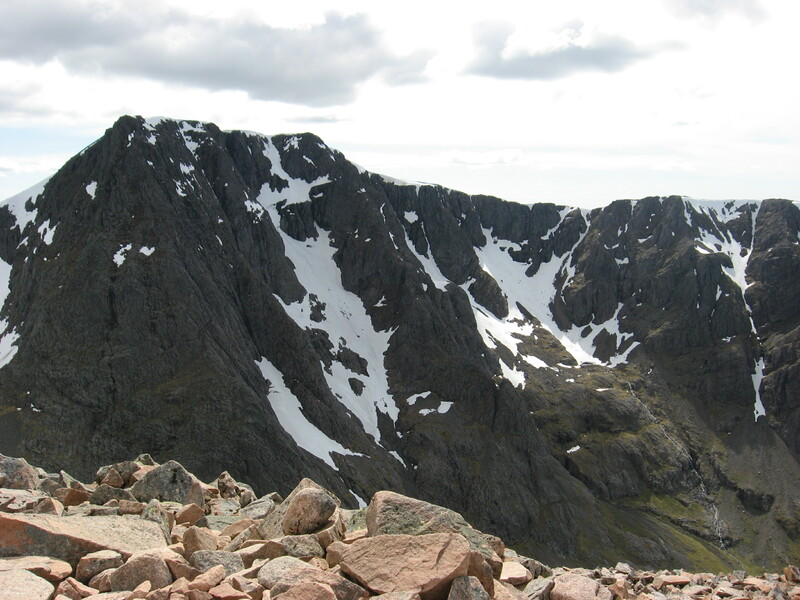 This incident came to mind this week after it was announced that Lochaber Mountain Rescue Team, whose area includes Ben Nevis, had recorded their 100th call-out this year. A normal year would see the team being deployed between 70 and 100 times, but they have already surpassed the higher figure and we still have four months of the year remaining. The bad weather has been a big factor, the almost constant wet and windy conditions coupled with an exceptional amount of late-lying snow causing problems that just weren‘t there last year. But there are still too many venturing out without the right map and compass skills, preferring instead to rely entirely on the likes of smart phones and GPS. Another big problem is people not leaving information with someone about their route, which leaves the teams with huge areas to search. In days gone by, walkers would leave a note in their car detailing their intended route for the day and their estimated due time. Personal security fears have led to that practice falling away, but anyone venturing out should always leave details of their plans with someone. The likelihood of the rescue teams getting a break anytime soon look remote. We are now heading into autumn still accompanied by severe wind chill and unless there is some miraculous heat wave coming in on our blindside, the only likely temperature movement is downward. The remaining snow which has clung on through spring and summer is unlikely to shift, the first time for many years it has lasted in so many spots right through the year. 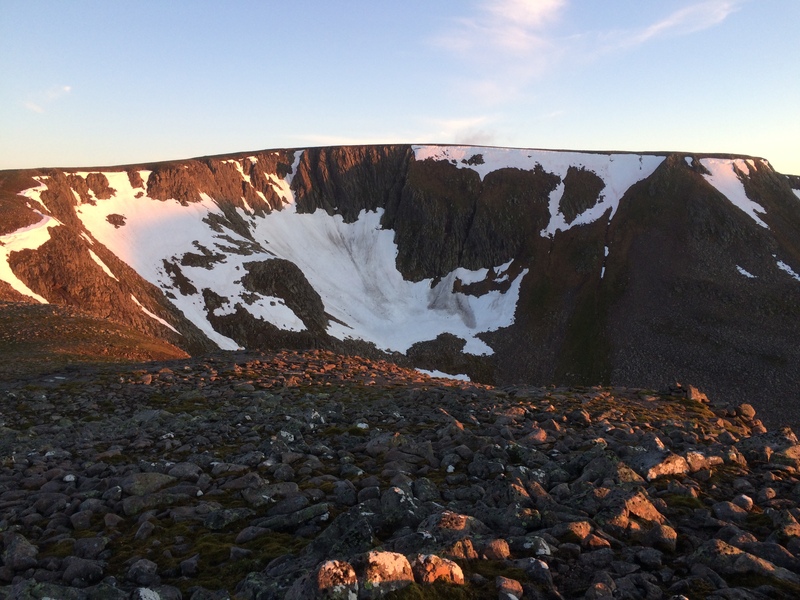 The Cairngorms corries have held on to huge deposits, some more than eight metres deep, and it’s a similar story in the Nevis range and throughout the country’s highest peaks. There was even footage of people skiing on Ben Macdui just a few weeks ago. The only possible salvation is that the flip flop brigade will soon be retreating into hibernation until next year’s “summer”. Hopefully they will spend their down time learning how to use a map and compass.